Christian seders have been a tradition among members of the People of Praise since the beginning of the community. 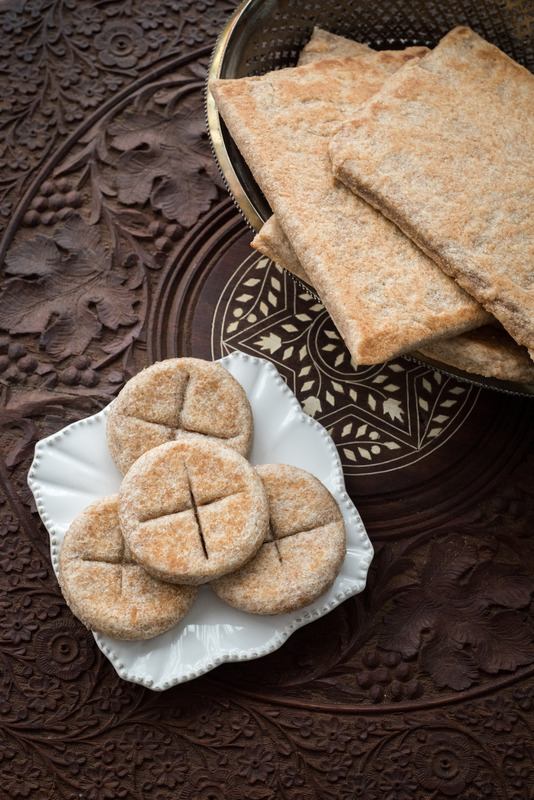 Founding member Kevin Ranaghan (South Bend) says that Christians celebrate seders to explore and explain what we think Jesus’ celebration of the Last Supper would have been like, assuming that it was a Jewish Passover meal as is traditionally believed. Therefore, Christian seder prayers typically include passages from the New Testament to highlight Jesus’ actions during the Last Supper. Kevin adds that often in the community the seder is celebrated on any day during Holy Week, in order to avoid conflicts with church services. The prayers of the seder involve a number of symbolic foods: haroset, radishes, parsley and unleavened bread (matzo). Here are two recipes for matzo that have a long history of use by households in the South Bend branch. Linda DeCelles says she adapted the first recipe from one she got from household member Patty (Kaley) Chukinas, and has been using it since 1975. (Patty died in 2007.) This recipe makes a sweet, dense matzo. Julie Walters and Dorothy Ranaghan have both used the second recipe since at least 1970. It makes a lighter, flaky matzo, which resembles a biscuit in texture. Dorothy and Linda both sometimes make their matzo in advance and freeze it. 2. Mix all ingredients in a medium bowl. Turn out onto a floured surface. Knead four or five times and roll out to cover an ungreased 12 x 14-inch cookie sheet. It should be about ¼ inch thick. 3. Bake for 13 minutes. Then remove from oven, cut it into four pieces, flip them over and bake for an additional 13 minutes, until edges begin to brown. 2. Mix flours, sugar and salt in a medium bowl. Cut in the shortening with a pastry blender or two knives. Add the water one tablespoon at a time and toss with a fork until the mixture comes together. You may have to use more water if the dough is too dry. 3. Turn dough out onto a floured surface and roll out to about ½ inch thick. Use a biscuit cutter or a glass to cut the dough into circles about 3 inches in diameter. Use a knife to decorate if desired. 4. Bake on an ungreased cookie sheet about 10 minutes or until brown, turning once.